I've been doing a gear inventory over the last few days. I want to start testing various equipment this winter. 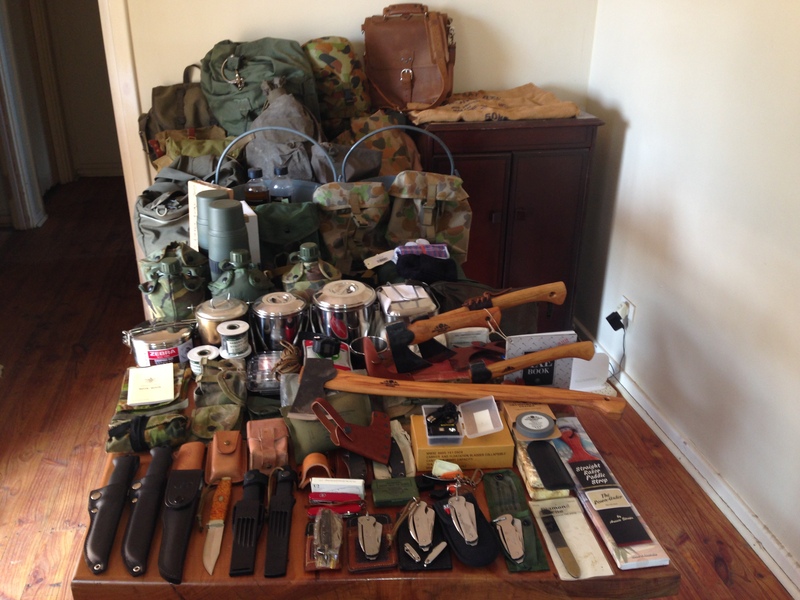 Here is a sneak peak of some of my genuine military & traditional quality bushcraft gear. That is a lot of British army knives! Thanks! I started collecting them when I was 13 after my Grandfather brought one back from WWII. 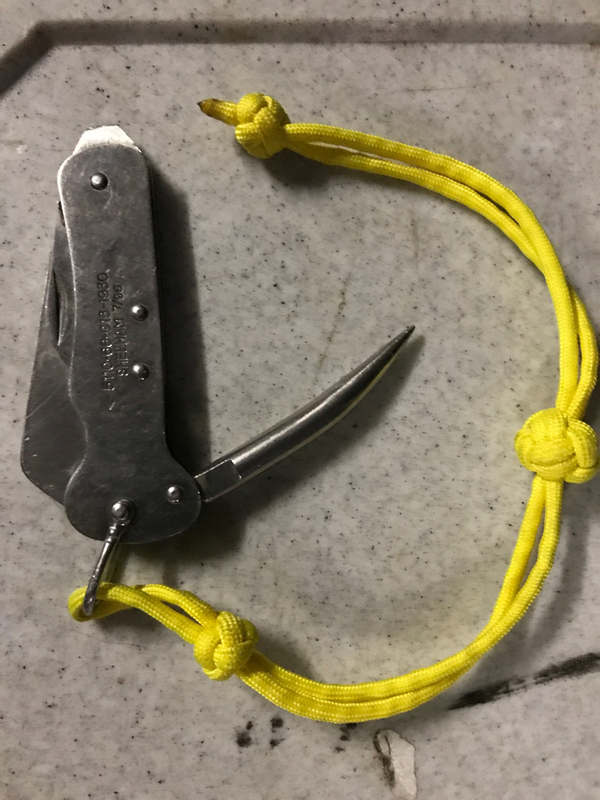 They are army clasp knives. But actually though only one is the 'British Army Knife' (the bigger one with the two mini pocket knives next to it). But this (particular) one was not issued, if that makes sense, but still made by Sheffield, England. The rest are genuine issued Australian Army Shelham Clasp Knives (made in Japan) and one (far left) is an unused WWII Dutch Army Clasp knife a friend gave me. Cheers, Eddy. Bloffy would be mighty impressed he loves the army clasp knife!! Crikey, that thing sounds like a throat cut razor. I have wanted to invest in an edge pro-sharpener. For now its a bench-stone & a Fallkniven DC4 in the field. I agree! The Marlin spike has proved to be so handy on these knives! Here's me adjusting my Australian Army mosquito hootchie with one to my Australian Army tarp, while camping out in Mallee country. That is a pile of gear, I thought I had to much stuff heaped up in my spare room. 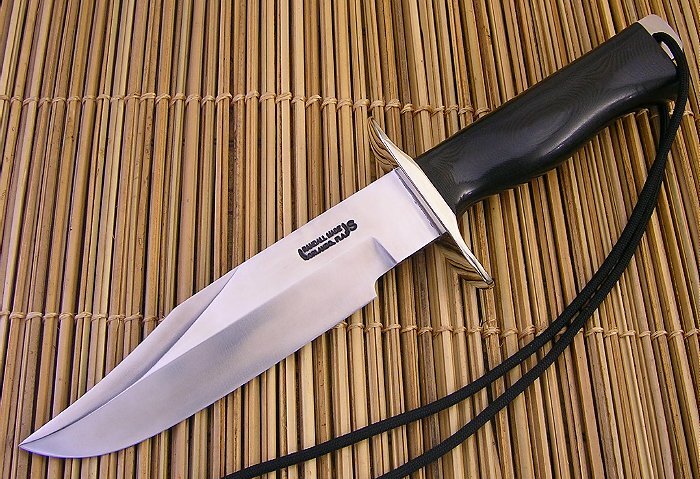 I think the picture of the randall in the youtube video is a copy of the fairbairn sykes commando knife, originally made by Wilikinson Sword for British commandos in WWII. Many armies of other nationalities have copied this to varying degrees. But yes, resembling a poignard, dagger or stilleto. They really are "made for darker things" :_(D): Your puukko's will see more real world use (hopefully :_applauso Hah, just eyeballed that evil shelham of mine, it's an '83. You beat me to it, MDU. Not a big fan. Then, after bagging you out, I actually needed the hoof cleaner....bugger bugger bugger. 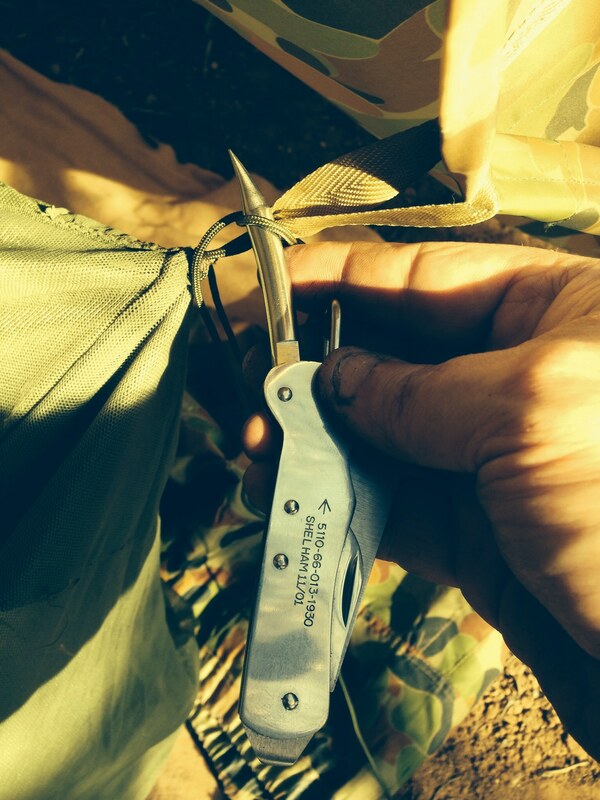 Ive been edcing a Australian Army Shelham clasp knife lately. Mainly using the blade and the end flat as a screwdriver. It does tend to wear through my pocket if im not careful. I love my clasp knife, mostly because it nearly killed Bloffy when he had to ask to borrow mine to get a knot undone. I still chuckle every time I take it out of my pocket!!!!!! What a nice and minimalist field kit you have there. I am enjoying the challenges of putting together more minimalist field gear. I also use wooden spoon (bamboo) - light, long, strong, insulated and natural! Putting together a cook kit today. 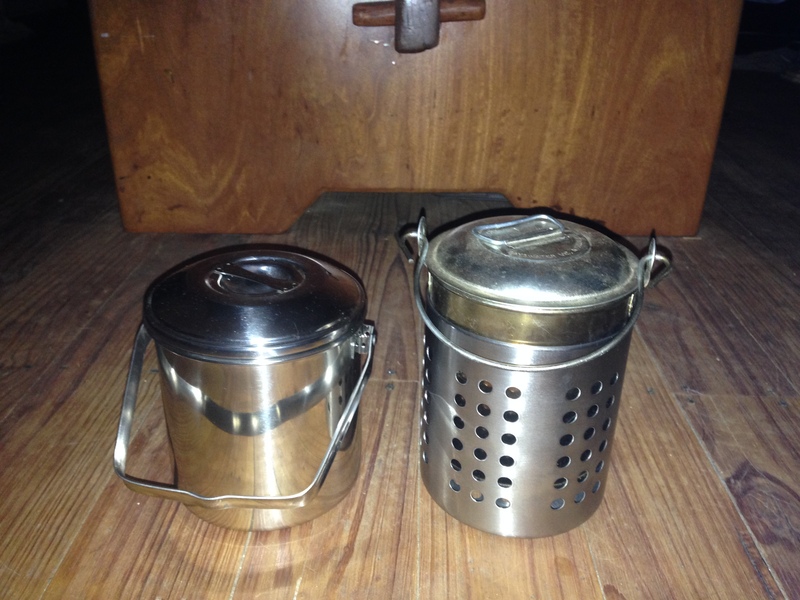 IKEA hobo stove turned up & nests with tin Cecil & Co. Billy #1 & inside stainless Zebra 12cm Billy, but I may need to cut some off to get the lid on! Cool. If you're Shelham is an 83' model I am guessing it has a nicely tappered awl (Marlin Spike). I have found examples from the late 90's/ early 2000's onward tended to be just machined to a point (like my 2001 model in the picture), instead of a beautifully hand ground taper. My Shelham is a ‘96 and it has a nicely tapered spike. A fine array of old gear, like the barrel which should surely be full of rum !